With my knee replacement surgery less than two months away, my orthopedic surgeon has given me a list of the various medications I will be given during and following surgery. Imagine my surprise to learn that it is my responsibility to research whether any of these medications will potentially lead to adverse interactions with the PD drugs I am already taking. Orthopedic specialists are not very familiar with these drugs, and therefore do not want to make critical decisions about suspending or continuing them. 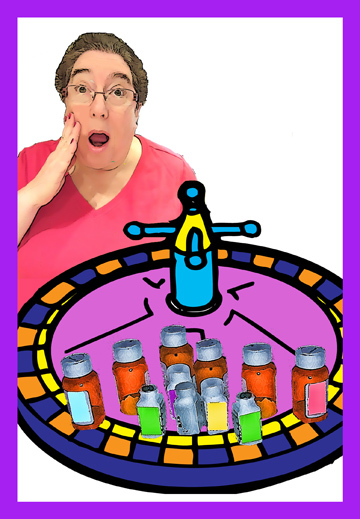 By the same token, Movement Disorder Specialists do not want to be the definitive voice on drugs outside of their purview. So, whose job is it to manage our various medications? Where does the buck stop? Chances are the answer is, with you. Ideally, each of us should have an internist who is familiar with all aspects of our medical history and continues to track it regularly, receiving results of all tests ordered by other doctors. We should also have a pharmacist monitoring all of our prescription and over-the-counter drugs, dietary supplements, and herbal remedies. In this age of mail order drugs, however, the closest I come to having a pharmacist is the nameless, faceless computerized voice that calls to say my unnamed meds have shipped. which is a critical part of this relationship. Without gatekeepers that I have confidence in, I have taken matters into my own hands, relying on myself to check reliable online sites for potential drug interactions before I fill my prescriptions. In light of my vast medical knowledge, some would say that this is a lot like playing Russian roulette, but what other options do we have? If I am concerned about something I read, I call the doctor who prescribed the medicine and discuss my concerns. Being dependent on ever greater numbers and escalating dosages of drugs to keep us moving increases the risk of unwanted side effects and adverse drug interactions. The likelihood of the latter increases with age, the number of chronic illnesses we have, the drugs we are taking, the complexity of our drug regimen, and the number of non-coordinating doctors and pharmacies involved in our treatment.